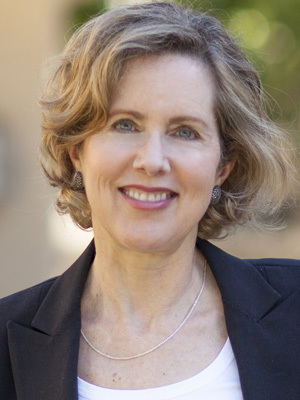 Heather Mac Donald is the Thomas W. Smith Fellow at the Manhattan Institute, a contributing editor of City Journal, and a New York Times bestselling author. She is a recipient of the 2005 Bradley Prize. Mac Donald’s work at City Journal has covered a range of topics, including higher education, immigration, policing, homelessness and homeless advocacy, criminal-justice reform, and race relations. Her writing has appeared in the Wall Street Journal, Washington Post, New York Times, Los Angeles Times, The New Republic, and The New Criterion. Mac Donald's newest book, The Diversity Delusion: How Race and Gender Pandering Corrupt the University and Undermine Our Culture (2018), argues that toxic ideas first spread by higher education have undermined humanistic values, fueled intolerance, and widened divisions in our larger culture. Mac Donald’s The War on Cops (2016), a New York Times bestseller, warns that raced-based attacks on the criminal-justice system, from the White House on down, are eroding the authority of law and putting lives at risk. Other previous works include The Burden of Bad Ideas (2001), a collection of Mac Donald’s City Journal essays, details the effects of the 1960s counterculture’s destructive march through America’s institutions. In The Immigration Solution: A Better Plan than Today’s (2007), coauthored with Victor Davis Hanson and Steven Malanga, she chronicles the effects of broken immigration laws and proposes a practical solution to securing the country’s porous borders. In Are Cops Racist? (2010), another City Journal anthology, Mac Donald investigates the workings of the police, the controversy over so-called racial profiling, and the anti-profiling lobby’s harmful effects on black Americans. A nonpracticing lawyer, Mac Donald clerked for the Honorable Stephen Reinhardt, U.S. Court of Appeals for the Ninth Circuit, and was an attorney-advisor in the Office of the General Counsel of the U.S. Environmental Protection Agency and a volunteer with the Natural Resources Defense Council. She has frequently testified before U.S. House and Senate Committees. In 1998, Mac Donald was appointed to Mayor Rudolph Giuliani’s task force on the City University of New York. She has received numerous awards for her writing.